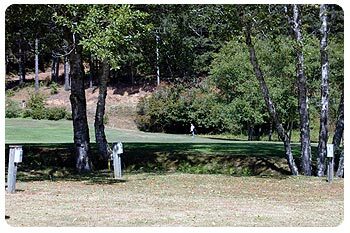 The Cedar Bend Golf Course offers space for up to 11 RVs to overnight. Perhaps you have an early tee time or wish to take a break between rounds in the comfort of your own home-away-from-home. Cedar Bend Golf Course is pleased to offer you the use of our RV Spaces. Each space offers water and electrical hook-ups only (no sewer on site). These spaces are very popular during our annual tournaments so don't delay - make your reservation today! For space availability or to make a reservation, please or phone 541-247-6911.